Environmental crime is one of the most profitable and fastest growing areas of international criminal activity. The increasing cross-border scope of environmental crimes and harms is one of the reasons why governments and the enforcement community have trouble in finding the proper responses. Law enforcement cooperation between western industrialized states is often time consuming and problematic, and the problems increase exponentially when environmental criminals take advantage of situations where government and law enforcement are weak. This book provides an overview of the developments and problems in the field of transnational environmental crimes and harms, addressing these issues from perspectives such as enforcement, deterrence, compliance and emission trading schemes. Divided into four parts, the authors consider global issues in green criminology, responses to transnational environmental crimes and harms, alternative methods to combat environmental crime, and specific types of crimes and criminological research. 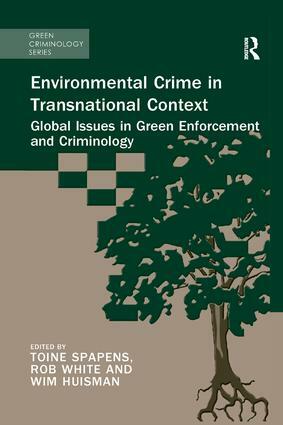 Discussing these topics from the view of green criminology, sociology and governance, this book will be of great interest to all those concerned about the transnational dimensions of crime and the environment. Enforcing the European Emissions Trading System within the EU Member States: A Procrustean Bed?